The second chapter of Bill Brown’s remarkable memoirs. Tramping feet, the noise of opening and shutting of doors within the hut, against a background of loud voices and shouts from somewhere beyond the blacked out window roused me from a deep sleep. Opening my eyes to pitch blackness, I lay for a moment to collect my thoughts, of course, I was ‘aboard’ His Majesty’s Ship Dundonald. I stretched out my arm and felt around for my watch lying on the small bedside table and grasping it by the strap lifted it up in front of me and read the dial. It was 0630 hours. I got out of bed, yawned and stretched myself and stumbled my way across to the window, stubbing my toe on the way. My cussing and swearing being lost in the cacophony of noise outside. Drawing back the coarse, black material I surveyed the scene of activity outside the hut window. Rows of huts similar to the one I was in stretched away into the distance and from each one figures were emerging and making their several ways to, as yet unseen, destinations. For a few minutes the scene engaged my attention. It all seemed a fairly normal picture, no doubt being repeated in military camps throughout the country. But there was something different, or a least that needed clarification. Everyone was dressed in khaki – not a single Naval or Air Force uniform in sight. My curiosity was stirred. A Royal Naval ship crewed by the Army? My mind went back to my arrival yesterday. I had been posted to HMS Dundonald, met at Troon station by an Army Corporal in an Army truck, driven to Auchengate Camp, an Army establishment, reported to a Guard Room and to the Officer of the Day, a khaki clad chap with the Wavy gold rings of a Lieutenant Royal Navy on his epaulettes and was told to report to my Commanding Officer, a Royal Air Force Wing Commander. I was also told that I was only the third RAF type on the camp. My posting was getting more and more intriguing. I turned from the window and collecting my toiletries opened the door of my cabin and joined the other occupants of the hut making their way to the showers. There was no indication of rank or Service, all being in pyjamas and dressing gowns. Although the number of showers was quite generous, they were fully occupied in that early morning rush, so I had to wait for a vacant cubicle and to while away the time I chatted to my neighbour on the bench, who introduced himself as Glyn Roberts and with a name like that, he was obviously a native of Saint David’s land and undoubtedly a rugger player. He was apparently my neighbour, occupying the next bedroom to mine. I was quickly corrected – “Cabin, old boy”. On learning that I was an RAF type, I could almost hear his inward sigh of resignation – “Oh, of course, the Junior Service”. Returning to my cabin after completing my ablutions, I dressed, donning my RAF blue with brass buttons. I presented a very conspicuous figure as I joined the ranks of khaki clad figures heading for the dining room, if that’s what it was called aboard ship. Roberts emerged from his cabin as I was passing and offered to show me the way to the Mess Hall. My entrance raised a few interested looks, but, with food my number one priority, any misgivings I had about my appearance were soon dispelled as I sat down to a plate of bacon and egg, which went down very well, but the somewhat meagre portion was a little disappointing. Roberts sat next to me and I now noted that he had wavy Navy flashes of rank on his epaulettes, a Lieutenant RNVR. Looking around, I also noted that, as far as I could see, there was no one at the table under the rank of Lieutenant (Navy) or Captain (Army). I also noticed that Roberts was eying my single ring with more than passing interest. Breakfast over, my next move was to report to my Commanding Officer and, again, Roberts pointed me in the right direction. The Royal Air Force Headquarters aboard HMS Dundonald were in a hut similar to all the others. Across the open space and up a couple of steps and entered the door to a long central corridor running the length of the building. I started down the corridor, it was strangely quiet. Knocking on the first door on my right and receiving no answer, opened it to find myself in what was obviously a stationery store. Shelves of papers, books and so on met my gaze. I tried my luck at the next door, again no luck, just an empty room with a table and couple of chairs. The RAF were not very busy today I thought. The third door produced a “come in” from my knock. Accepting the invitation to enter, I opened the door to see the back of someone bending over an open drawer of a filing cabinet. Pushing the drawer closed, the figure turned round – a mutual recognition. Bob Turner had been at Cranwell with me when I was on my Signals Officers course. Friendly exchanges followed and a chat and reminiscences and a brief resume of my duties and postings since leaving Cranwell. I explained that after my Operational station experiences in 5 Group, I had found my duties at Headquarters Maintenance Command at Amport House, Andover, a little dull and had seized the opportunity to do something about it when I had seen the notice calling for volunteers for Special Signals Duties under Training. Turner had seen the name Brown on the postings list but as Brown is not exactly an uncommon name, he had not associated it with me. “So you have no idea what this is all about?” queried Bob. I confirmed that I had absolutely no clue whatsoever, adding that I was completely confused at my posting. Turner looked pleased. “Good, because if you had known we would have been very, very worried. This is a Top Secret project. Anyway, I hope you won’t be disappointed with your decision to volunteer for Special Signals Duties under Training”. He appeared to deliberately use the full title as posted on the Notice Board at HQ Maintenance Command. He then went on to tell me that the SSO at Command Headquarters, Squadron Leader Gissing, had strongly resisted my departure and submitted a very favourable report on my work and behaviour as his Number One. I had been aware of his opposition to my submitting my name and he had tried to talk me out of it and I must admit that I had a bit of a conscience as we had got on very well together and I was sorry to say goodbye. He wished me well and we parted on good terms, which eased things a bit. Turner looked at me intently to see if I had any reaction to his news; he went on to tell me that Squadron Leader Gissing had also recommended me for promotion and that, had I stayed on, I would now have my second ring. I felt a bit guilty at this additional bit of information but I assured Turner that I was still wholeheartedly committed to whatever lay ahead. Turner seemed relieved at my overall reactions to his comments and, after a few more general remarks, he got up and crossing the room to a door, that presumably connected with the adjacent office, said “It’s about time you met the old man”. Knocking on the door and opening it he disappeared, closing it behind him. I waited as a low murmur of voices drifted through the closed door. A few moments later and then the door opened again and I was invited in to meet the CO. Another familiar face from my Cranwell days. Wing Commander Strutt, then a Squadron Leader and a Senior Instructor on my Signals course. A lean faced man, not readily given to display any undue emotion, extended a cordial and friendly reception and seemed to be genuinely pleased to see me. For a few minutes we exchanged anecdotes and reminiscences of those ‘student’ days at Cranwell. We wallowed in nostalgia. 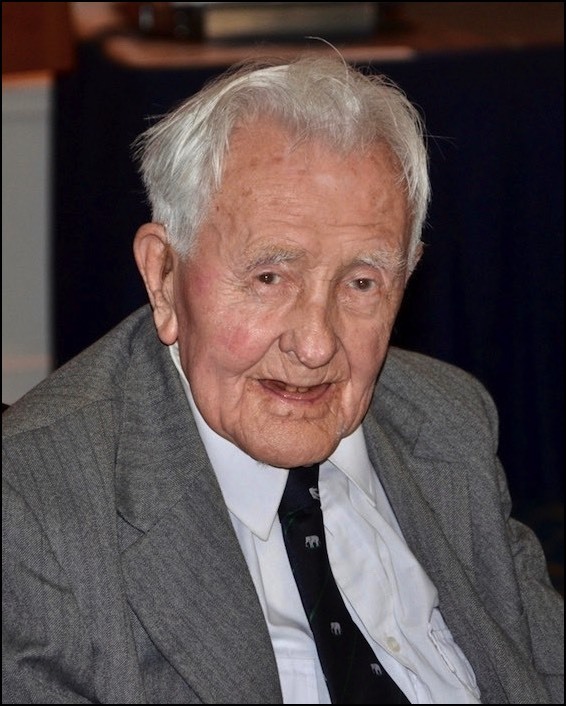 The Wing Commander brought the conversation back on track by closely questioning me on my work at 5 Group Bomber Command and my duties at Waddington and the other stations in Five Group. He was very interested in my account of my responsibilities and then looked down at some papers laying on the desk in front of him, which apparently contained notes on the strong resistance to my leaving by the SSO at Maintenance Command Headquarters. Echoing Turner’s remarks of a little earlier, he hoped that I would not be disappointed at my decision and re-emphasising the point that I was well in line for promotion, had I stayed on at Amport House. He laid it on a bit thick to make sure that any regrets that I may harbour over a delay in getting my second ring did not weaken my commitment to whatever lay ahead. I managed to convince the CO that I had no serious regrets at leaving Andover. I could almost hear a sigh of relief. The Wing Commander sat back, “well, we had better get on with explaining exactly what you have let yourself in for”. He then embarked on his narrative. HMS Dundonald is the Operational Training Headquarters of a new, and as yet, Top Secret organisation called Combined Operations. It’s object is to bring under one Command and one Commander-in-Chief all the fighting Services with the ultimate target of taking the war to the enemy. To achieve this, offensive action would be mounted on enemy or enemy -held territory and to this end all Services would train together, familiarising themselves with each other’s arms and weaponry and each contributing its own expertise to the operation. At present there is no indication whatsoever of when or where this major offensive would be mounted. Once again, the CO impressed on me the necessity of maintaining the utmost secrecy and to discuss with no one outside those directly involved in the training or type of work we would be doing. A few final words and the Wing Commander closed the interview and handed me back to Turner with instructions to read all the relevant files and papers. Back in Bob’s office we sat down and ran over the salient points of the CO’s talk. “I suppose this proposed action will be the opening of a second front on main land Europe”? “No comment”, was Turner’s reply, adding “before we get too deeply involved in the files, you had better get yourself sorted out and collect your khaki kit”. “All right” I agreed, saying that my accommodation was quite comfortable. “Where have they put you”? he queried. I explained just where my cabin was located and that I had breakfasted in the nearby Mess Hall. “You will have to move out of there, that is the Ward Room accommodation and is the Senior Officers domain. Aboard HMS Dundonald you will have to follow Navy rules. As a single ringer you will have to use the Gun Room messing and move into Junior Officers accommodation”. He paused then, “the best thing you can do now is to get kitted out, arrange your accommodation and messing and get your medical check up”. Armed with the necessary directions, I took my leave of Turner and headed for my first call, the Accommodation Officer. Presenting myself to the Accommodation Officer he was amused at my clanger on my first night aboard HMS Dundonald, adding that I would soon get used to Navy ways. Drawing a large book towards him he ran his finger down a column of written notes, finally stopping at an empty space. “Here we are, Number 4 Hut, Number 6 Bedroom”. He looked up, “This is an Army Camp and I am Army, so I still prefer to call a bedroom a bedroom”. He paused while inserting my name, number and rank and told me that there were no single rooms in the Gun Room Mess and that in my case I would be sharing with a Sub-Lieutenant Peter Jackson RNVR and that he was a pleasant type and should be an amicable room mate. Calling out to the next room through the half open door, an Army Corporal appeared and was instructed to accompany me to my quarters and help in moving my kit to my new cabin. Ten minutes later I was installed in my Gun Room quarters. My stable companion was not around, so I did a bit of exploration, noting that the furnishings comprised of two single beds with a bedside table between, a standard issue type of chest of drawers, a reasonably sized wardrobe with two hanging compartments, one side already full with Jackson’s clobber. Two small tables completed the furnishings, presumably for writing that letter home. My inventory was complete. I found out where the ablutions were and the ‘heads’, the Navy term for toilets. I mused over this selection of title, surely the chap who thought it up must have a pretty poor grasp of the layout of the human body. I freshened up and returned to my cabin. After unpacking and storing my kit in the wardrobe and chest of drawers, sallied forth to start my round of the various sections I had to visit. Heading for the clothing store, I spent the next half hour being measured for a battle dress, not quite the measuring one would expect in Saville Row, but an approximation with a near enough result. Eventually emerging with an armful of khaki clobber, I headed back to my quarters and changed into what would be my daily dress for the foreseeable future. I was told that on no account whatsoever was I to leave camp in khaki battle dress but to change into my normal RAF uniform. I spread out my shopping on the bed: two khaki battle dress uniforms, two khaki shirts, a tie, gaiters and a belt of hard webbing, the latter including a side arms holster. A pair of wellington boots completed my new sartorial possessions. Finally, a pair of Army type ammo boots, which I looked at a bit apprehensively but which I eventually came to find were very comfortable. I was pleasantly surprised. A couple of sleeves for my epaulettes were included, on to which I had to sew the appropriate rings of rank. Fortunately, I had been provided with a hussif comprising of needles, thread, a few buttons and a few other odds and ends for emergencies. With my flashes now bearing my official badges of rank, I left the cabin and headed for the Medical Section and reported to MO, a Royal Navy Lieutenant Commander. I was given a complete overhaul, including the obligatory walloping, knee reactions and, of course, a cough. Half an hour later he pronounced fit with every possibility of living a little longer. There followed the inevitable wad of forms to sign and complete and then, finally, took my leave of the Doc and headed for the, new to me, Gun Room Mess bar. On my way I dropped into the Gas Section to collect my gas mask, after it had been checked and with it my gas cape. After a drink at the bar, where I was well received by those already lucky enough to have arrived before me, I was taken into the dining room and sat down to a meal, which was of good quality but somewhat frugal. An opinion which I expressed to my companion, who went on at some length to explain that all the food dished up here was based on a strict diet of all the correct vitamins and calories etc to provide a balanced meal. I listened politely but fear I rather disappointed him when I thanked him for his analysis of the food, tacking on at the end of my words of appreciation a question as to where the nearest fish and chip shop was in Troon. I don’t think he had a sense of humour. After the meal I retired to the ante room and browsed through the papers which were, of course, almost entirely devoted to the progress of the war. Things did not look at all good. Russia was calling ever more loudly for us to open a second front, the Desert Campaign was not proceeding as well as it should, so many of our successful advances being repelled resulting in us have to drop back to our original or near to starting positions. I began to turn over in my mind what my future might be, and what part I would be playing in the coming war effort. Would I be in the forefront of any major action? Seemed likely. How long would I be here aboard HMS Dundonald? What exactly was this posting of mine – Special Signals Duties Under Training? Would I be attached to a Unit within a larger Unit or Section or whatever? So far I was, apparently, posted to a Unit which did not exist. No one would tell me anything, or they didn’t know. Anyway, Turner was the only one who had any knowledge of any sort and he had not been very forthcoming so far. All these self posed questions and wild self answers were getting me nowhere, they were just a hotch potch jumble of way out thoughts. I had no answer to them so I decided that a breath of fresh air would do me a lot more good than lounging around and getting more and more confused the more I read and tried to analyse the situation. It was a lovely sunny June day and it was a shame to spend it within four walls. I went out into the camp and turned down the main track leading towards the distant sea. Passing under a railway bridge carrying the line from Glasgow to Troon and beyond and on which I travelled last night, I stepped into quite different country. Wide open spaces stretched left and right and rough grass and tufted sea shore foliage which covered large parts of the ground gave way to well trended, lush green areas with, what appeared to be, sand pits dotted here and there. For a moment I wondered about this and then suddenly, of course, this must be the world famous Troon golf course. I was indeed on hallowed soil. Continuing my leisurely stroll across the fairways and sand pit bunkers towards the distant sea shore, the Firth of Clyde, I eventually came to the edge of a fairly steep but shallow sand cliff falling away to the firmer sand of the foreshore and, scrambling down, I reached the beach. To my left in the distance I could see some buildings and houses marking the outskirts of Troon and jutting out into the Firth of Clyde, a jetty, Troon harbour. No sign of an aircraft carrier and certainly no room for one anyway. So it did not seem that my posting would be to do with seaborne aircraft. Some few hundred yards from the shore a number of nondescript vessels were riding at anchor or moving slowly towards the shore. In the middle distance I could see many khaki clad figures carrying out all sorts of strange antics. Crawling on hands and knees and diving for cover behind bushes to a background of small arms fire. Returning my gaze to sea I noticed that one of the flat nosed, slab sided boats was making it’s way shore wards. On and on it came, surely it will run aground if it continues. I was right, it did run aground and as it did so, the flat nose dropped into the water with a splash and a number of khaki clad figures rushed down the ramp formed by the flat nose slab and on to the shore. Within minutes they were exchanging fire with some hidden defenders somewhere in the bushes and esparto grass at the far end of the limits of the golf course. Some of the exchange fire gave way to hand to hand fighting and now and again figures would fall, either shot or laid out by blows. Eventually a flag was hoisted and the lively combat ceased and the dead soldiers miraculously regained their lives and got up from the beach and mixed with those that had just killed them. The flat nosed ship backed off raising its ramp and then turned its nose out to sea. It hadn’t stuck in the sand as I had expected. To my right, activity of another sort was being played out. In the distance ships could be seen entering and leaving the River Clyde. Those coming downstream were gathering together joining several ships already at anchor. An Atlantic convoy was forming and soon it would be steaming off into the North Atlantic and into the arms of the waiting hunter-killer packs of U-Boats. Directly across the water in front of me was a large piece of land rising from the sea, the Isle of Arran. I’d like to visit it one day. For a while I continued to watch the scene and then decided I had better make my way back. Retracing my steps, I thought about all I had seen and my curiosity was now at boiling point. Again, the question – what part would the RAF be playing and just how would they fit in with flat nosed vessels grounding on some beach or other? And what about aircraft? So far they had played no part whatsoever in the scenes I had witnessed. I must tackle Turner and see what gen I could get out of him. As I suspected, it did not amount to much. He thought for a moment or two before replying to my question, then he said “the day is well advanced and what you will have to absorb from the files and papers you will have to wade through cannot be done in the odd hour or so and until you have taken in all you have read you are in no position to ask intelligent questions, so I suggest you finish the day off with a visit to the MT Section, the Map Room, the Armoury. You won’t be able to absorb all in those Sections but you will be able to introduce yourself and find out where each one is. Map reading will play a large part of your training, so a visit there will be helpful”. I departed, little the wiser but at least I had detected a note of approval at the interest I had displayed in all I had seen. 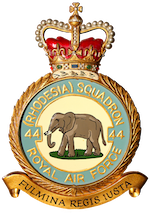 I spent a very interesting couple of hours in the various Sections and had the advantage of being the first, and so far, only RAF Officer assigned to operational training. The beer I had at the bar that night went down very well, with a vague sort of feeling that I had at last got some sort of start – but to what? Oh well, another pint please. Bill Brown’s wartime memoir runs to a weighty thirty four chapters. Further extracts from his remarkable story will appear in future editions of the Newsletter.